Diana Hamilton, Director of the Writing Center, received her Ph.D. in Comparative Literature from Cornell University, where she taught First-Year Writing Seminars and served as an Assistant Director of the Writing Walk-in Service. Her research focused on style and subjectivity in “experimental” writing. She has published three books of poetry, and her critical and creative writing has appeared in Art in America, Frieze, The Believer, Amodern, Prelude, Lambda Literary, Esopus, and BOMB, among others. As the Center’s director, she is especially interested in reshaping Writing Center practices to better serve English language learners. Paul Hiller, Administrative Coordinator, received a BA in Economics from Baruch College. He is currently studying towards an MA in Arts Administration. As an undergraduate, Paul worked as an administrative assistant at the Modern Languages and Comparative Literature department, and participated in the Kakehashi Project, a youth exchange program hosted by the Japan Foundation. His interests include photography, Cantonese, and his two cats. Rebecca van Laer, Consultant & Resource Development Specialist, holds a Ph.D. in English from Brown University. Her writing appears in Electric Literature, Ploughshares, TriQuarterly, and Salamander, and she is the author of a chapbook, Don’t Nod (Long Day Press, 2018). In addition to her work at Baruch, she has taught literature and writing at Boston University and at Brown. In her one-on-work with students, she enjoys focusing on developing thesis statements, working with sources, close reading, personal statements, and creative assignments. Interested in reading some of our consultants’ essays, poetry, fiction, and scholarship, and in finding out more about their roles as writers, editors, and curators? Check out our Staff Bibliography! Alyssa Baylor, Consultant, is an MA student in International Education Development at Teachers College, Columbia University. She holds a BA in International Studies from Trinity College. Prior to studying at TC, she developed and taught a writing composition course at a new university in Africa (Rwanda and Mauritius). She has experience working with students from diverse backgrounds and especially enjoys helping students develop their own unique voice in their writing. As a native New Yorker, she loves discovering new places to enjoy a good cup of coffee or to listen to live music. Her research interests include African education, critical pedagogy, culturally relevant curriculum development, and teacher education. Chong J. Bretillon, Consultant, holds a PhD in French from the CUNY Graduate Center, where she also earned a Film Studies Certificate. She has taught courses in contemporary French cinema, cultural studies of the Francophone world, and French language at Pennsylvania State University-Erie, Hunter College, and Borough of Manhattan Community College. Her areas of consulting expertise include developing thesis statements, close reading, response/reaction writing, and peer review. Chong especially enjoys working with multilingual and international students, and has tutored students in both French and English in the United States and in France. Anna Ciriani Dean, Consultant, holds an MA in Applied Linguistics from Teachers College, Columbia University. She previously worked as an ELL assessment specialist at Educational Testing Service, where she developed test content for TOEIC and TOEFL, and she currently teaches college composition courses and grammar workshops for ESL students at Fordham University. Her research interests include second-language writing, task-based language teaching, writing-center pedagogy, and assessment. Sasha Graybosch, Consultant, is a fiction writer, writing instructor, and consultant. She received a BA in English from the University of Kansas and an MFA in Creative Writing from New York University. Her fiction has appeared in Electric Literature’s Recommended Reading, Canteen, elimae, DOGZPLOT, Vitrine: A Printed Museum, and elsewhere. She began working in writing centers as an undergraduate peer tutor, and since 2008 she has been a professional writing consultant at the Fashion Institute of Technology, where she also teaches developmental writing courses. She has experience supporting students with diverse language backgrounds and learning needs, and she enjoys working with writers throughout the process, from generating and developing ideas to refining language choices. Leela Khanna, Consultant, is a PhD student at New York University in socio-cultural anthropology. She holds an MA degree in South Asian studies from Columbia University and a BA degree in political studies from Bard College. She has previously tutored at writing centers in New York City and in Upstate New York. Her research interests include gender studies, critical theory and politics. She enjoys working with students on argumentation, structuring essays, brainstorming and critical reading. Dean Kritikos, Consultant, is a poet and educator. He received his MA in English from St. John’s University and has taught composition there. He’s worked in writing centers at St. John’s, Queensborough Community College, and Columbia School of Social Work, and is currently Professional Writing Specialist at College of New Rochelle. He has published critical work in the quint, Talisman, War Literature and the Arts, Lehigh Valley Vanguard, and the collection Oceanic New York; his creative work appears in ATOMIC, NYSAI, Walk Write Up, anthologies from Great Weather for MEDIA and Crack the Spine, and the project Lament for the Dead. Kim Liao, Consultant, is a writer and writing teacher at Baruch College, City Tech, Gotham Writers’ Workshop, and Catapult. She received an MFA in Creative Nonfiction Writing from Emerson College, and her writing has appeared in Catapult, Lit Hub, The Rumpus, Salon, The Millions, River Teeth, Vol. 1 Brooklyn, Another Chicago Magazine, Fringe, Brevity’s Nonfiction Blog, Fourth River, and others. Her essay published by Lit Hub in 2016 about collecting 100 rejections a year caused a stir in the literary community and led to invitations to guest lecture as a “Rejection Expert,” a title she wears with a healthy dose of irony. She is currently revising her family memoir about the Taiwanese Independence Movement. Holly Melgard, Consultant, is a poet, book designer, editor and holds a PhD in English from SUNY Buffalo. She has taught Introduction to Writing Composition, Literature, and Creative Writing at the college level for the last 10 years. Her research interests include contemporary poetry, poetics, philosophy, computation and digital textuality. When consulting, she especially enjoys brainstorming ideas, thesis development, critical reading, topic and transition sentences, as well as spicing up introductions and conclusions. Jono Mischkot, Consultant, received his MA in English from San Francisco State University and his MFA in Fiction from New York University. He is a Senior Lecturer in the Expository Writing Program at New York University and the Pedagogical Coordinator for Curriculum and Staff Development at NYU Poly. He has received several awards for teaching, including the Outstanding Teacher Award from NYU in 2008. His areas of expertise include literary interpretation, essay organization, developing an argument, and writing in the sciences. Poupeh Missaghi, Consultant, is a writer, English < > Persian translator, Iran’s editor-at-large for Asymptote, and an educator. A Ph.D. graduate from the University of Denver’s creative writing program and holding an M.A. in translation studies, she has published both fiction and nonfiction work in Entropy, The Brooklyn Rail, The Feminist Wire, World Literature Today, Guernica, The Quarterly Conversation, and elsewhere. Emily Long Olsen, Consultant, holds a PhD in Linguistics from the CUNY Graduate Center, and received her BA in English Writing and Anthropology from the University of Pittsburgh. Besides her work at Baruch, she has taught undergraduate and graduate Linguistics classes at several CUNY campuses and at NYU, and she works with ILETC, the Institute for Language Education in Transcultural Context, doing research and supporting workshops. As an English language instructor, Emily has worked with students of many different language backgrounds and all age groups, both domestically and abroad. In linguistics, her research focuses on sound patterns, particularly those of a small group of minority languages in the Austro-Asiatic language family spoken in the Central Highlands of Vietnam and northeastern Cambodia. Her dissertation is a description of a minority language spoken in Cambodia called Kachok, and was funded by the National Science Foundation. Nathaniel Rosenthalis, Consultant, is a poet and critic. His poems can be found in Lana Turner, Denver Quarterly, Conjunctions, The Harvard Advocate, and PANK. His criticism appears in Boston Review. He holds degrees from Sarah Lawrence College and Washington University in St Louis, where he was the Senior Fellow in Poetry. He lives in Brooklyn. Kat Savino, Consultant, is a fiction writer, poet and essayist who holds a BA in English from Montclair State University and an MFA in fiction writing from Columbia University. She has also worked at Columbia’s Writing Center, where she served as assistant director, and as a writing instructor for LEDA (Leadership Enterprise for a Diverse America). Her specialties include brainstorming, literary analysis, application writing, creative writing, gender studies, and ESL. Her writing has appeared in publications such as Marie Claire, Narratively, DIAGRAM, and The Los Angeles Review. She was the 2011 recipient of A Room of Her Own’s Orlando Prize in poetry. Shannon Azzato Stephens, Consultant, holds a BA in Creative Writing from Carnegie Mellon University and an M.Phil. in Creative Writing from Trinity College, Dublin. She has taught in writing centers, classrooms, and online at Columbia University, Johns Hopkins University, Carnegie Mellon University, Borough of Manhattan Community College, and the Fashion Institute of Technology. While serving in AmeriCorps, she also taught basic skills writing and literacy in Mississippi public schools. Her short stories, poetry, and essays have appeared in publications including Guernica, BuzzFeed, Southwestern American Literature, and Flash Fiction Magazine. In addition to her teaching and writing, she is deeply involved in higher education labor advocacy and is a member of the Leadership Training Program at the Professional Staff Congress-CUNY. Her consulting specialties include essay structure and organization, brainstorming, and argumentation. She is an editor of the Writing Center’s online journal of student writing, The Lexington Review. Monroe Street, Consultant, is a psychoanalyst, writer, and co-editor of The Candidate Journal. Recent projects include a PEW-funded psychoanalytic study of sound artist Daniel Fishkin’s work with tinnitus and an essay on the knotting of hysteria, desire, and literary form in Willa Cather’s novel My Ántonia (1918). Street also writes music in collaboration with visual artist Wilder Alison and teaches at the City University of New York. Daniel Yousef Tehrani, Consultant, is a teacher, writer, and musician with an MA in TESOL from Hunter College. In addition to being a writing consultant at Baruch, he has been a tutor and workshop facilitator at the Bronx Community College Writing Center since 2009 and has taught ESL at the International English Language Institute at Hunter College. Daniel is committed to professional development and has presented at the National Conference on Peer Tutoring in Writing and the Northeast Writing Center Association. His specialties are non-native and non-traditional students, grammar, creative process, and helping blocked or anxious writers. Outside the writing center, Daniel writes lyrics and poetry in English and Persian alongside composing and performing. He also speaks Spanish and Turkish. Joshua Weber, Consultant, holds a BA in English Literature from Southern Methodist University, and received an MFA from New York University. He has taught creative writing and is currently a Lecturer in Expository Writing at NYU. His areas of consulting expertise are in literary interpretation, essay structure, brainstorming ideas, and critical reading. Other interests are history, film, and fiction. Carin White, Consultant, is a theatre and visual artist. Recent projects include adapting Hamlet and directing a production entitled Hamlet CU3ED that bridged art installation and theatre Dealing with Ophelia, a dance-theatre piece, presented at Governors Island and DUMBO Arts Festival and Icarus, a new work in development. She completed her MFA in Directing at Columbia University studying under Anne Bogart and Brian Kulick. Joseph Yearous-Algozin, Consultant, is a PhD Candidate in English at the University at Buffalo. He holds a MA in Creative Writing from Temple University and a BA in English from the University of Wisconsin-Madison. He has six years of experience teaching Composition, Creative Writing and Anglophone literature. Additionally, he is the author of Holly Melgard’s Friends and Family (Bon Aire Projects) and The Lazarus Project (TROLL THREAD), the former co-editor of the literary magazine, P-Queue, and a member of the publishing collective TROLL THREAD. 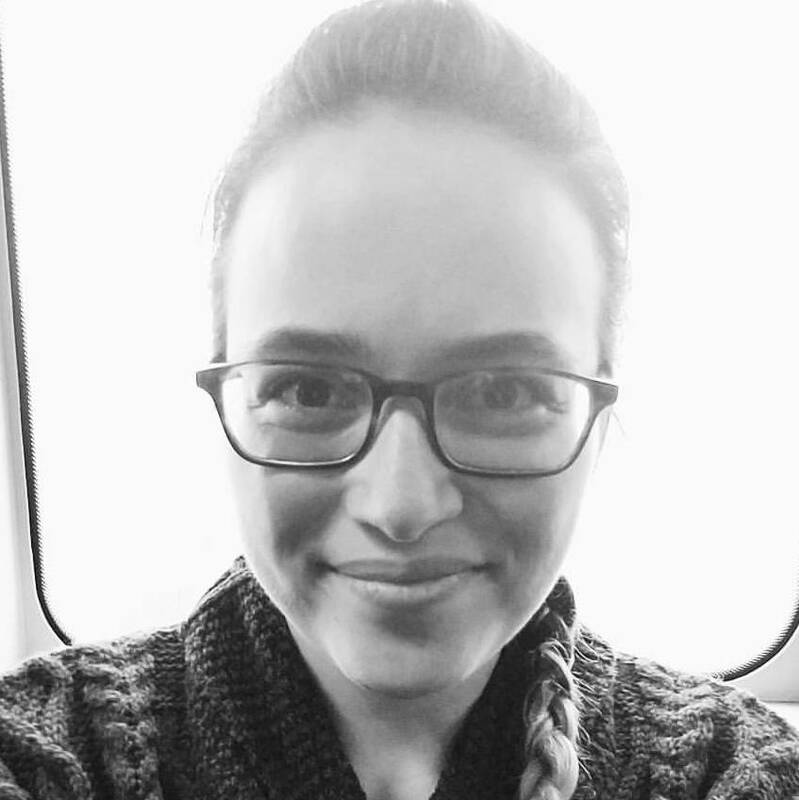 Anna Zeemont, Consultant, is an English PhD student at the CUNY Graduate Center, where she concentrates in Composition-Rhetoric and American Studies. Much of her research revolves around literacy, particularly in urban educational settings such as CUNY. She’s especially interested in decolonial and anti-racist approaches to teaching writing in college classrooms and beyond. Prior to starting her PhD, she earned a BA in English and Biology at Oberlin College and worked as a secondary educator in the San Francisco Bay Area. She currently teaches composition and English courses at John Jay College of Criminal Justice. Mariah DeJesus, Front Desk Attendant, is currently a junior pre-med student at Baruch College focusing on Biology with a minor in Psychology. Aside from her responsibilities at the Writing Center, Mariah is currently the President of Chi Alpha Epsilon NHS, which acknowledges exemplary students while giving back to local communities. Other interests include theater, reading, and constantly going to museums. Heenakshi Malhotra, Front Desk Attendant, is an international student from India and a junior at Baruch College, majoring in Graphic Communication and double minoring in Philosophy and New Media Arts. Besides pursuing design and writing as a career, she enjoys reading, cooking, yoga, and watching documentaries. She is currently serving as the President of the Advertising Design Society at Baruch College. Tenzin Woesel, Front Desk Attendant, is a senior at Baruch College studying Psychology with a special emphasis on Developmental Psychology. She currently interns at Elmhurst Hospital, and is a major advocate for raising awareness of mental health disorders, especially in underrepresented communities. In addition to her job at the Writing Center, Tenzin also works as a waiter at a small ramen shop. Her interests include reading, biking, and watching broadway shows.